Our Stunning Newborn Portraits session is the perfect way to capture the angelic expressions and sweet innocence of your baby’s first few days. It’s never too early to book your photography session. Newborn photos are ideally captured within the first 5-14 days, when your baby is still very sleepy and curves naturally into those adorable poses that melt our hearts. I offer newborn photo sessions in the comfort of your own home. You and baby can relax in familiar surroundings, knowing that everything you need is close to hand. As a newborn photographer working in Essex and London, I can set up my mobile studio wherever it is required and will bring along a full range of props, outfits, and accessories. Alternatively, you are welcome to travel to my studio in Stratford London. My studio is a short walk from westfield shopping centre. There is also ample parking outside my studio and very close to Stratford High Road DLR station. Once you have booked your newborn photography shoot with me, I will help you to prepare for your session and suggest ways to get the most out of your experience. All props needed for the shoot are included in my session packages. However, if you have an item of particular sentimental value that you would like incorporated into some of the images, I would be happy to do so, provided it is safe for your baby. 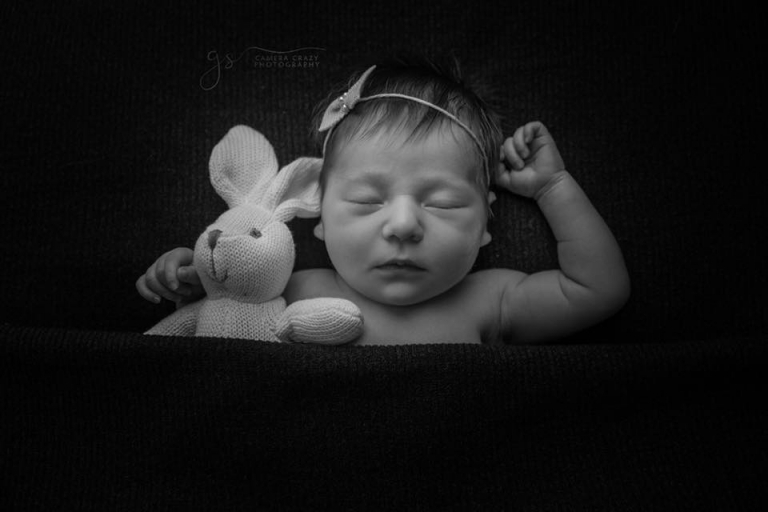 A typical newborn shoot will last for around 4 hours. This means there will be plenty of time for feeding, soothing and cuddles without any need to rush through the session. I find that this relaxed approach creates many opportunities to turn precious moments into beautiful, artistic portraits. Although your newborn photography session will be booked in advance to ensure availability, we will only schedule a fixed appointment once your baby has been born. This is to allow for baby arriving later (or earlier!) than expected. When you’re ready to book your Newborn Photography session, or if you would like to learn more about any of my photography services, please contact me.